What is the Gift Tax in NC and How Can You Avoid Paying It Each Year? What is the Gift Tax in NC? How much money can you gift away without having to pay a gift tax? How much money or property can you give away during your lifetime? What is the Gift Tax in North Carolina? Is There a Limit to How Much Money You Can Give Away During Your Lifetime? Questions About the Gift Tax in NC? At its basic level, the gift tax in NC is a tax on the transfer of assets from one person to another. The gift tax exists for one reason, to keep people from avoiding the payment of estate taxes by giving away all of their money before they die. The gift tax is owed and paid by the person who gave the gift, not the recipient of the gift. That’s the “bad news” if you can call it that. The good news is that with proper planning (and even in many situations without any planning at all), most people will never need to pay a gift tax or even file a gift tax return during their lifetime. If you are wondering why many people will never need to pay a gift tax in NC, it’s because there is no current gift tax in North Carolina. North Carolina’s gift tax was repealed in 2009. And at the Federal level, there is a $14,000 exclusion per person, per gift, per year. In other words, you can give up to $14,000 to as many people as you want each year and you will never have to file or pay a gift tax. And if that isn’t great enough, if you are married, you can give twice that amount, up to $28,000, away each year to as many people as you want without triggering the gift tax. Yes and no. Technically, you and your spouse can jointly give up to $28,000 away to as many people as you want each year and never have to file a gift tax return or pay any gift taxes. But let’s say that you wanted to giveaway more than that each year. Is there a cap on how much you can give? At the Federal level, you can give up to $5.49 million during your lifetime as of 2017. For every dollar over and above $5.49 million, you have to pay a tax of 40% on those gifts. This is your personal lifetime gift tax exclusion, meaning it is the amount of money that you personally can give to another person or entity during your lifetime without paying a tax on the gift. That being said, it is important to understand how the Federal Gift Tax works in conjunction with the Federal Estate Tax. Under Federal Law, a person is able to give away a certain amount of money upon their passing without being subject to the estate tax. Coincidentally, that amount just happens to be, you guessed it… $5.49 million. What this means is that if you decide to make a large donation to a hospital or a school or your children, and the sum total of that amount is $5.49 million, then when you die, your estate will owe taxes on any amount over $5.49 million* that you leave to your heirs. The reason for this is that your federal estate tax exemption is decreased, dollar for dollar, by every dollar you give away that counts against your federal gift tax exclusion. *A properly drafted estate plan can increase that amount to $10.98 million for a married couple. Many financial professionals, heeding the information provided in this article, have advised their high net worth clients to give away a certain amount of money each year (up to the annual gift tax exclusion amount) to minimize the size of their taxable estate when they pass away. This may or may not be good advice, depending on the size of the donor’s estate and whether or not they will need to qualify for Medicaid. Many very high net worth people will never be concerned about Medicaid because they would rather private pay for a facility and the interest on their investments more than covers the annual fee. However, if you are in a gray area where the cost of a nursing facility will quickly deplete the estate of your loved one, then you need to be aware that a gifting program could get them into trouble.Medicaid plays by a different set of rules and could care less about your gifting program to avoid paying estate taxes. If you have given significant gifts to children or other organizations within 5 years of applying for Medicaid, you may face severe and expensive penalties when applying for Nursing Home Assistance. Medicaid plays by a different set of rules and could care less about your gifting program to avoid paying estate taxes. If you or your loved one has given significant gifts to children or other organizations within 5 years of applying for Medicaid, you may face severe and expensive penalties when applying for Nursing Home Assistance. We can help. Give us a call at (919) 883-4861 to set up an initial consultation and discuss your options when it comes to setting up your estate to minimize the effect of gift and estate taxes on your assets. 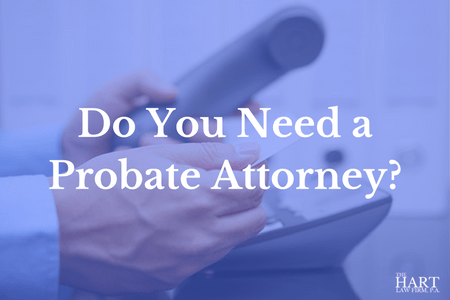 Previous Post: « Do You Need a Probate Attorney in North Carolina?